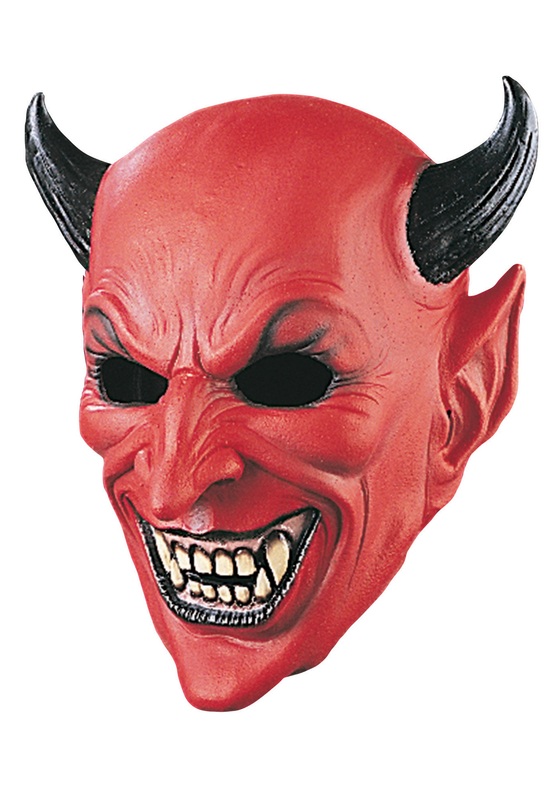 Put fear in all of the hearts of the angels your meet this Halloween with this Devil Deluxe Mask. This red, latex mask slips on over the head and provides slits for the eyes, nostrils, mouth and ears. 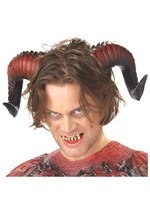 It has two, black horns fastened on the side with a large, devilish smile plastered on the face. 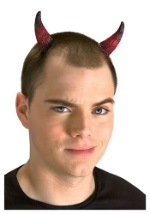 Black accents the devil's wrinkles and physical characteristics to give it an authentic look. 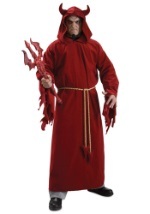 Pull this mask on with any of our devil costumes for a great and classic Halloween look.